Memphis, TN – Edward L. Stanton III, United States Attorney for the Western District of Tennessee announced today that Patricia F. Baker, 50, of Memphis, TN was sentenced this week by U.S. District Judge Sheryl H. Lipman to serve 18 months in federal prison followed by three years of supervised release, forfeit $4,000 and was ordered to pay restitution of $2,720 to her victims who incurred pain and hospital stays because of her actions. There is no parole in the federal prison system. According to the Indictment: Patricia Baker was a United States Postal Service mail handler who, over the course of four years, stole thousands of dollars in medication such as hydrocodone and Viagra from Armed Forces veterans throughout the region. Ms. Baker would make small tears in Veterans Administration parcels to determine whether the medications inside would be marketable. She enlisted the assistance of both her son and husband in a conspiracy to distribute the controlled substances, making at least $8,500 in profits while veterans suffered. Complaints regarding missing parcels were investigated by Postal Service Office of Inspector General (OIG) Special Agents, who caught Baker stealing items from parcels on hidden surveillance cameras. Agents witnessed Ms. Baker taking cell phones and medications from the mail and hiding them in her apron and workspace. Baker admitted to OIG agents that she had stolen a large quantity of pain medication and electronics, such as laptop computers and iPads. A search of Baker’s home recovered laptop computers, computer tablets, cellular telephones and accessories, Veterans Administration prescription medications, video games, DVDs, jewelry, coins and cameras. On March 20, 2014, a Federal Grand Jury sitting in the Western District of Tennessee returned a 21-count indictment with a Notice of Forfeiture against Ms. Baker. Baker plead guilty on July 18, 2014 to one count of destruction of mail, one count of embezzling mail and one count of conspiracy to distribute a controlled substance. U.S. Attorney Stanton praised the investigative work of the U.S. 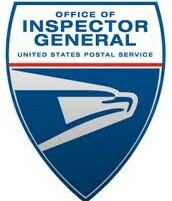 Postal Service Office of Inspector General. Special Assistant U.S. Attorney Ron Cummings represented the government.